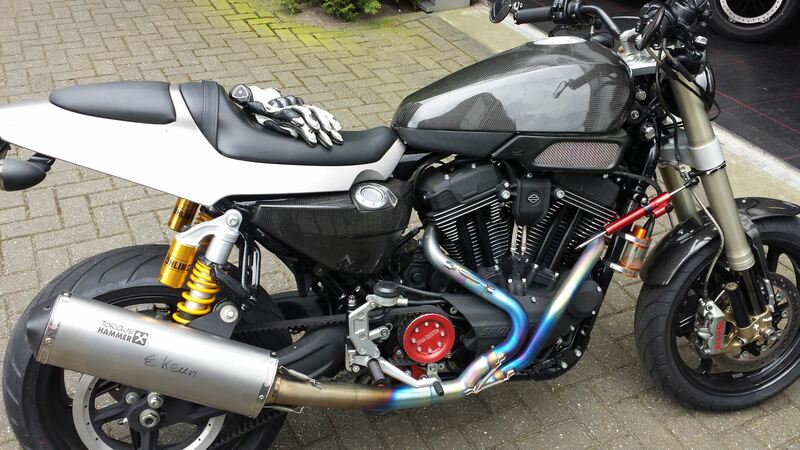 29-4-2015 - Oke, our first XR1200 full exhaust system is finished and we made our complete stage 1 KIT. Below I will keep all the progress and pictures of the development for our stage 1 kit. 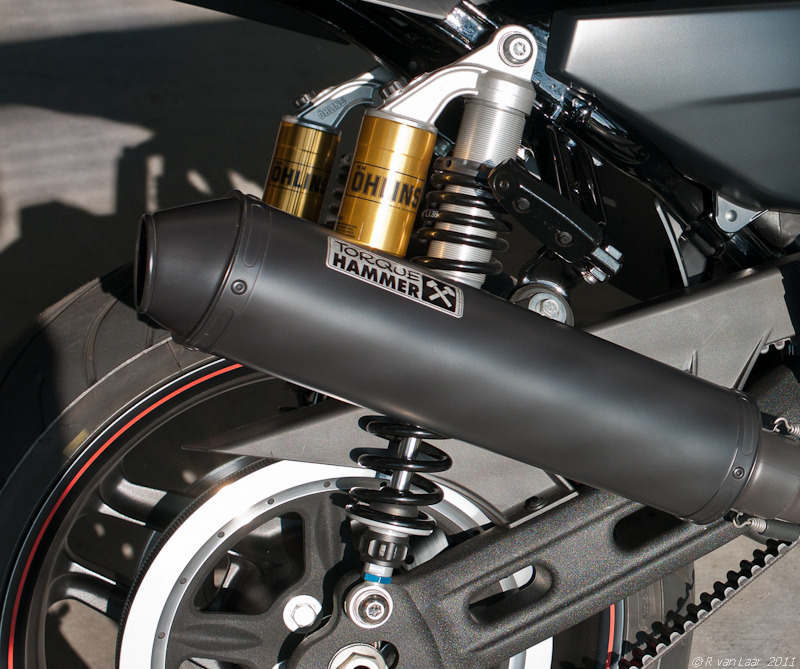 The name of this exhaust system is also Torque Hammer like for the Buell's, it is our trading name for the exhaust we make, The reason we choose this name is because it makes a lot of torque at 3000 RPM and HP all thew way to Red Line 7000 RPM. In the sheet below you see al 4 latest prototypes exhaust i build and developed and that we tested with big headers small headers etc etc. To get a beautiful Torque band and a very flat Torque band all up to red line. This is the only exhaust in the market that makes that flat torque curve untill 6000 RPM. Here is the complete older XR1200 exhaust testing article: https://www.twinmotorcycles.nl/artikelen.asp?aid=71 where it all started making a complete exhaust for the Buell engine in the XR1200X. In the sheet below you see the green line, with that prototype exhaust i made 116 NM on the rear wheel at 3500 RPM. There was no topend HP and Torque, But a lot concentrated at 3500 RPM. 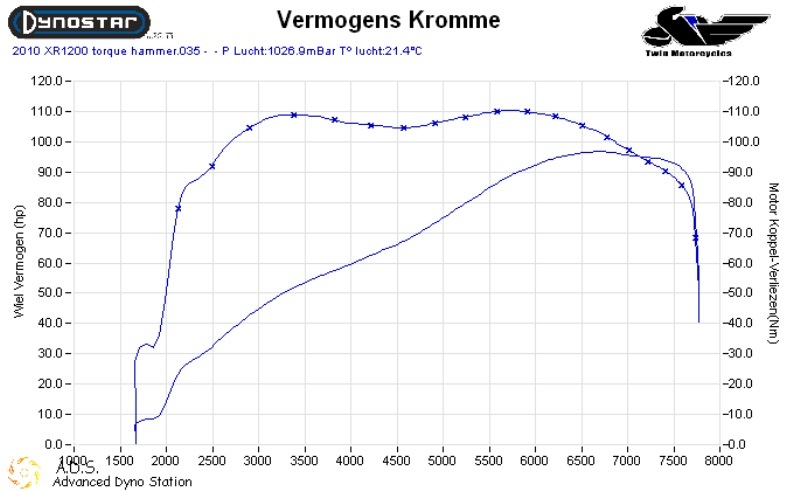 But that was the max the engine could produce (-: After understanding this, I developed the final exhaust system, with making a lot of DYNO hours and different setups before. It took me about 4 weeks of longs days to develop this system and get these results. AT THE BOTTOM OF THIS ARTICLE YOU FIND THE USA EXHAUST TEST ALSO WITH OUR TORQUE HAMMER. 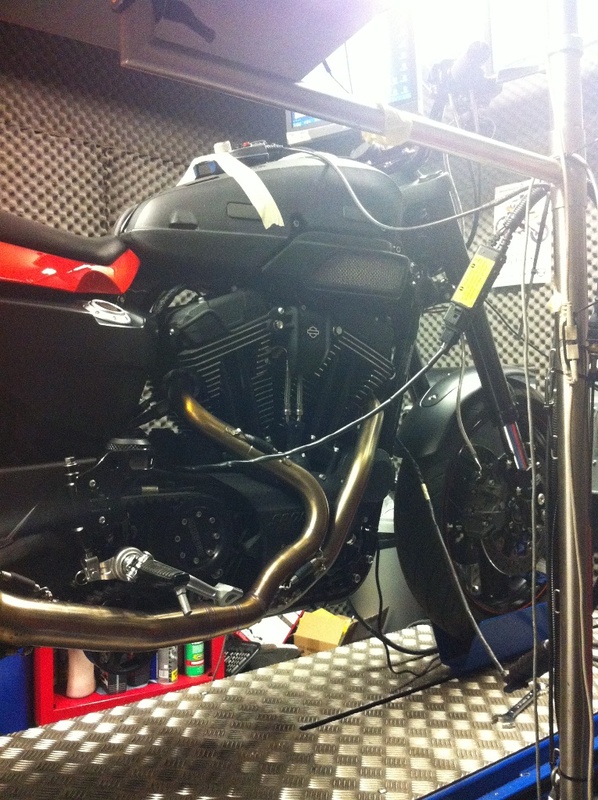 This is done on another dyno, with same bike with very rich setup, becuase they would like to test and fit the headers. LOOK HOW BEAUTIFUL THE TORQUE HAMMER KEEPS THE TORQUE BAND FROM 3000 TILL 6000 RPM. There is no exhaust in the world for this engine that will give you this amount of Torque on such a big RPM range. I drove the bike yesterday and it is all and all fun, torque everywhere and a lot. Beutiful product. When you do the gearing change modification, it still pulls like a train. Today was too busy to dyno, I hope to adjust the WOT tomorrow and post the final results made on our dyno. When I tested the Vances and Hines exhaust I Know i was very enthusiastic about that system. Now our system go's in Production people ask me what should i buy, and why. I think that is a good question. Down below you see a graph with the Vanes and Hines system BLUE LINE and our system GREEN AND RED LINE with and without db-killer. Red line is the torque Hammer with race Baffle, and Green line is without race Baffle. On our Torque Hammer the Torque will start at 2500-3000 and ends or go's down at 6000. All the way it is a Horizontal line That is not the case with the Vances and Hines System. If You look at the HP line our Exhaust will make more the 92 HP on the rear wheel. That dyno was made with a very rich fuel map on another dyno, I can tune there 1-2 more HP. So Compared to the vanses and hines, our Torque Hammer system ahs much more torque at a brother power band so every where you drive there is torque. Combine that with our 200% fitted fuel map and you will love the bike even more. 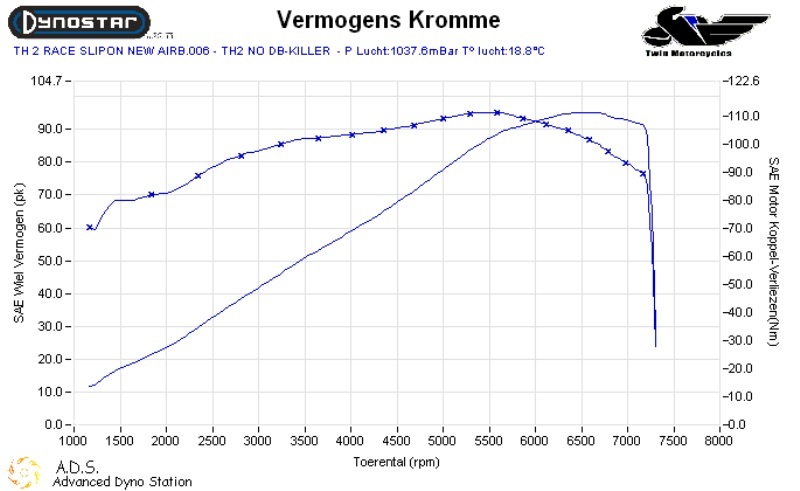 And here down in the graph is a run BLUE LINE with a bone stock XR1200 nothing done to the bike, and our Stage1 Kit RED LINE mounted. Somebody asked me to post a graph with the Remus 2-1 system with tune, compared with the 2-1 Torque Hammer. Oke Tuesday the exhaust manufacturer is bringing back the bike. 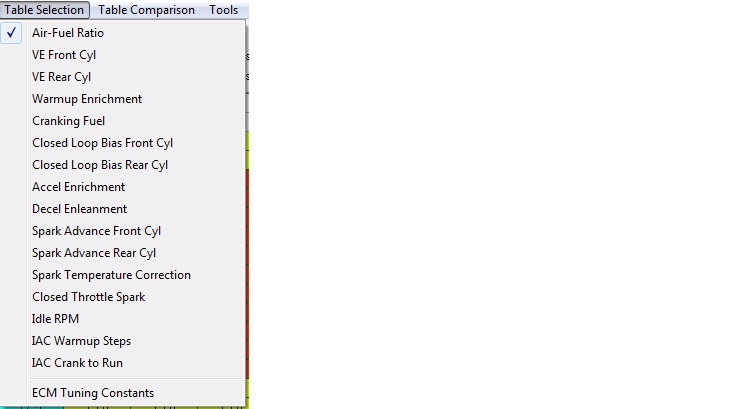 Then i can start making the fuelmap for it and see what my dyno brings. I am now testing stuff for 1 off the 3 Buell's I will dyno at Glendale Harley Davidoson's in august 2010 in California to take to Bonneville in August 2010 to set some speed records, I am testing different stack hights now interesting stuff i can say.. May the speed be with us.. I was test riding with our new Torque Hammer exhaust, I had a lot of fun untill?? And there was the check engine light and battery light coming up. Bike woulden't start. My buddy picked me up with the truck and we start measuring, oke, stator ain't working so we opened up the primary. stator we changed the pugs because we have them in stock and good expereinces with them. We suggest, that when you change the oil, please check the screws. 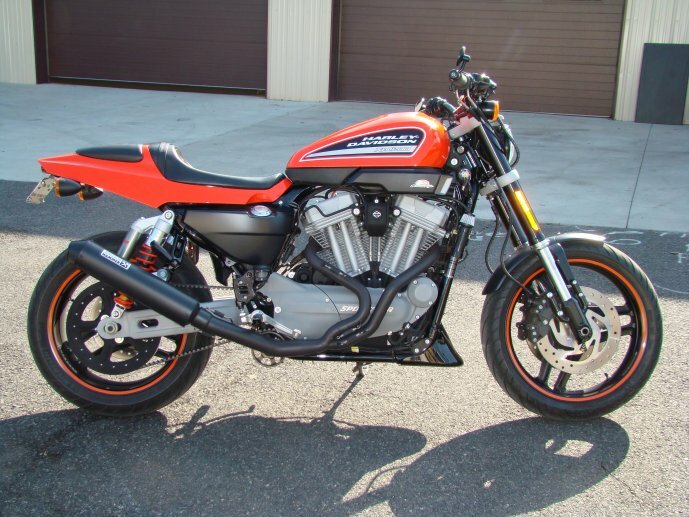 I finished the first XR1200 tuning for our first customer with our Torque Hammer. Here is the final graph 92.8 HP and 106 NM of Torque SAE corrected. I took the bike for a spin on the road early this morning to be 100% sure there are no problems.. Man it rides beautiful unbelievable strong through all the RPM range 7500 (-:. It go's so quick to the red line that when i watch my tago i allready made 200 KM/phour. Torque everywhere all RPM range, this is a winning concept we are very very happy with how the XR1200 is riding. So I am a happy man, and go back to my dyno and finish the 2010 fuelmap. Here is the graph with the test results done in the USA. There was a exhaust shoout out where all exhaust systems where tested. 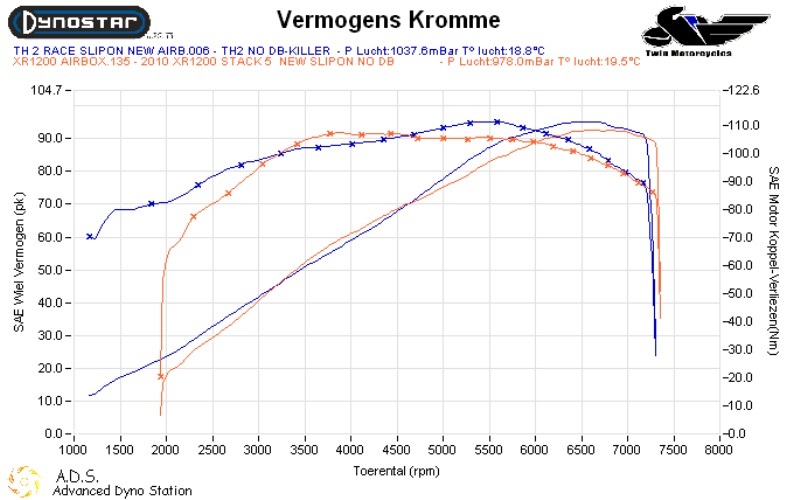 Below is a graph with the best 3 and our exhaust is the big winner with our Torque Hammer full exhaust system. 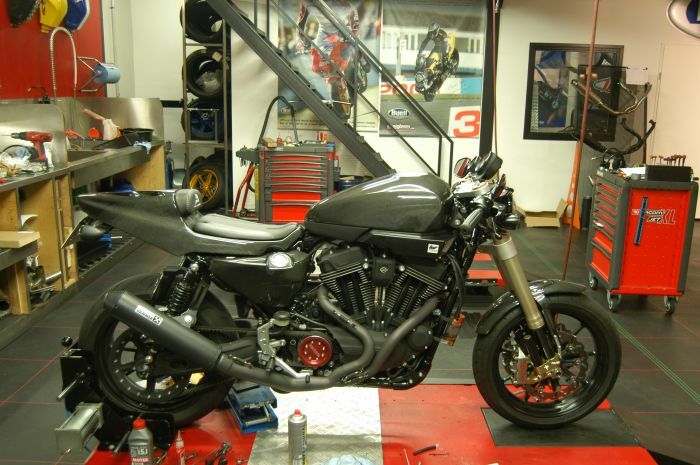 Today we send a exhaust system with a set of bigger Headers to the USA for testing on a 1250 KIT for the XR1200. When everything is tested, we then send it to a shop that will test it on a 88 CI kit for the XR1200. I used TTS MasterTune and few ready made maps from Dris to get ECM done. I found that easiest solution for me, since I don't know where I could find dyno here in Japan. Using MasterTune was very easy and fast to download new maps to ECM. This setup pulls very strong and there is huge difference in torque. Example riding 3rd gear and running from 2800 rmp to red zone it pulls very strong. I never could believe that this works so well. Sound of this pipe is very cool, not too loud and but still very Harley like. I use it with dB killer. But as I get more mileage on it, I will tell more about how it runs. p.s. Actually it pulls so strong, that I get first speeding ticket here in Japan, when I was first test ride in highway last night. IÂ´m very glad that I still have my Japanese driving license, after sitting 30min in police car back seat. Speed Demon Cycles & Twin Motorcycles team up for 2011 race season! Speed Demon Cycles is pleased to announce that Twin Motorcycles has signed on as a sponsor for the 2011 racing season! Twin Motorcycles will be supplying the Torque Hammer full exhaust system and mapping for the #828 XR1200 being run by Rob Ruggiero in the 2011 LRRS racing series and the NJMP racing series! Speed Demon Cycles is also pleased to announce that they will be a dealer for Torque Hammer exhaust system here in the United States. When asked about this new partnership Rob Ruggiero had this to say ' I'm really excited about the opportunity to work with Dris and Twin Motorcycles. I've followed Twin Motorcycles development of the Torque Hammer exhaust and it really looks like this will be the perfect exhaust to get the most out of the XR1200. 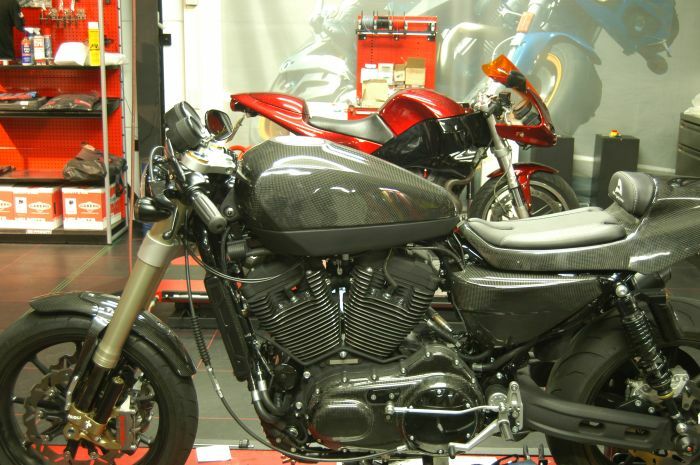 Twin Motorcycles knows that The exhaust system they developed is the best in the market at the moment. In the graph down you see the difference with the Remus system that makes no top end power. So we are really confinient that the Racers with our Full Exhaust system and our Tune, should be able to win races. Here is the 2011 LRRS schedule. All races held at NHMS, Loudon NH USA. I went with the TH and am really pleased I did. Thrown on the dyno with Dris's generic map (No 02 sensors) it pulled 92 hp and 77.2 ft-lbs of torque (with the torque above 70 from 3000 rpm and above). It previously ran 82hp 68ft-lbs on the same dyno with the Remus with supertrapp. My bike with stock exhaust ran 78hp and 64ft-lbs on the same brand of dyno (Dynojet 250) but at a different shop. So bottom line I would comfortably say the TH added 10 + hp and 10+ ft=lbs over stock. It pulled a hp or two less with the other TH map running the o2 sensors. Interestingly, Steve (Nerang dynotuner extrordinare) had tuned another XR1200 that had a D&D exhaust and power commander installed. Comparing dyno results you really couldnt choose between them. Both had 92 hp peak and the D&D had 0.6 more ft-lb of peak torque at 77.8....but the TH had 5 ft-lb more at 3500 rpm (the D&D just had a lit dip at that point). Like I said, nothing really in it BUT the D&D IMO was the performance benchmark. If you are matching that pipe for performance you are on the money. (The D&D is the performance benchmark but is 10 lbs heavier, louder and with less cornering clearance than standard). The D&D was specifically tuned for that bike. My dyno run was done using Dris's generic map. Mine could have been fine tuned specifically for my bike to pull another couple of horses. I recently did 4000 kms in 5 days and the bike and exhaust performed admirably. Even 2 up the bike pulled like a train with no dead spots or stutters....basically ran smooth as silk. Since we were riding with petrol station 200kms apart I installed the map which uses the o2 sensors. It ran 20.4 kms per litre or around 260kms per tank which made the trip easier. I plan to run the other map on the local runs and run 200 km per tank. The pipe clearance is much better than stock. It is comforting to know that the exhaust wont scrape straight after the footpegs do, like with the stock exhaust. Comparing the TH to the Termi. Power: The TH wins hands down IMO. I have not seen anyone pull D&D/TH numbers out of the Termi. I have seen a few Termi dyno runs and they seem to be pulling 5hp and 5ft-lbs more than stock. After fiddling with the Remus headers with supertrapp, I feel the Remus and Termi headers are just way too big. As I said above, I think the TH is pulling 10+ more HP and torque than stock. If you like the Termi results on Streetrackers early dyno comparison, you would like his later comparison with the TH added. The TH is pulling 6hp and 6+ ft-lbs more for most of the upper mid range. Looks: The Termi headers look better but the tail pipe is way too long IMO. I prefer the TH except for the front header pipe bend.....but looks are your call anyway...you dont need my opinion. Weight, clearance and build quality: I dont think there is much in it. Sound: Hard to tell from the internet clips of the Termi....but I really do like the sound of my TH. Cost: I though the TH was way cheaper!! 97 HP and 82 LB-FT.
Well I managed to get some miles on the bike today what a great day. OMG wheelies no problem 40 fters, unbelievably strong pull right off of idle, sounds pretty good, a lot different than what I'm used to. Much more throaty but not obnoxious, very tolerable at cruising speed. Which brings me up to my next subject. I had her out on the interstate hit 126mph laying on the tank tucked in tight, got into some light traffic so I backed her down to 80 got off at the next exit from lane 3 to exit a quick escape, then trough the twisties off the off ramp like a champ, stuck like glue. I get to the light and look in the rear view there is a big gray Crown Victoria behind me. OPPS! I'm thinkin take my time. Come to the next light and I'm thinkin here we go, but still nothin. Get to the next light and I here BUDDY! I lift my visor and look its a Statey reading me the riot act. "If I ever see you do that again I'll make sure you never get a license Bla Bla Bla". Flames were shooting out of his eyes, he was pissssed off. So I'm a gentleman about the whole thing and want to shake his hand to say thanks for not busting me. "I dont want to shake your hand, you ought to know better than to drive like that bla bla bla" (Do I'm thinkin) He lets me go. Wow about this time I need a beer. So I did, it runs sooooo good much better than I would have expected. Thanks Dris for the incredible work you did I'm very happy! I did manage to snap some shots of the bike today with the new mods. Dris - what have you done to my bike? I can't believe the transformation your exhaust and mapping made to my bike! Everybody that has given good reviews before me set my expectations fairly high but the outcome exceeded them. I'm running the db-killers and the tune for that and the bike is much more responsive to every twist you do with your right wrist, I have to start using gas control when pushing out of the corners. This wasn't needed before since the power came late and not as strong. I use to have a Superduke 990, specs for that was 120hk and 100Nm of torque at the crank, and I can say that this set up is as strong as that but not as edgy if you get what I mean. Take a ride with our stage 1 kit mounted. Here's Steve from australia who just posted a comment on the forum about installing our latest update for the XR1200 ECm with Torque Hammer and db-killer installed. We are developing a new stage 1 KIT with a new exhaust and airbox. This message is for all Customers worldwide who run a Stage 1 kit from Twin Motorcycles on there XR1200 or XR1200X . We have improved TTS ECM files for free for the Race Version and the E-Mark version. Send us a e-mail; info@twinmotorcycles.nl to get them. We also have tested them on the road the last 2 weeks.